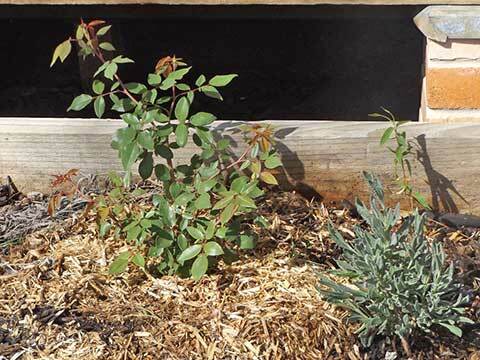 Having now been in this new home for a year, I am seeing the first Spring of my plantings, a promise of what my envisaged garden will be like. 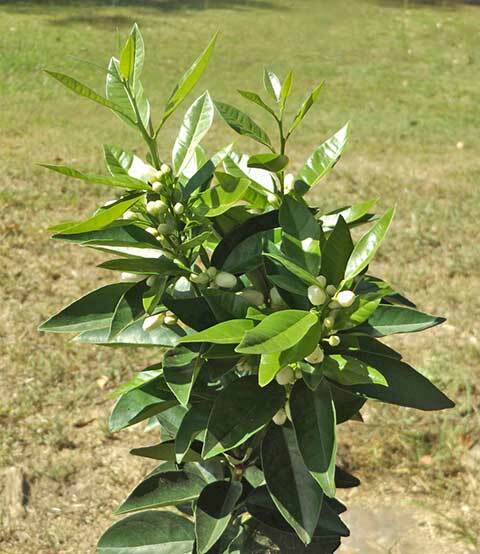 Planting citrus trees was a priority, given that I grew up on an orange orchard and I still find the scent of orange blossom the most heavenly of all. I have eight little trees in; nine if you count the Kaffir Lime. 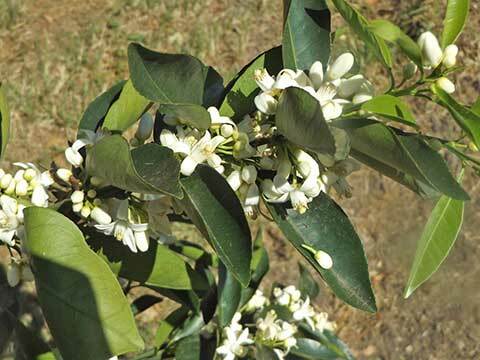 For any fruiting plant to survive the winter and burst forth with the buds that herald the fruit to come is great; the perfume of citrus is a bonus. The most exciting for me is the spiny Native Fingerlime, absolutely covered in buds. I am sure they won’t all become those bliss bombs of limes, but surely many will? 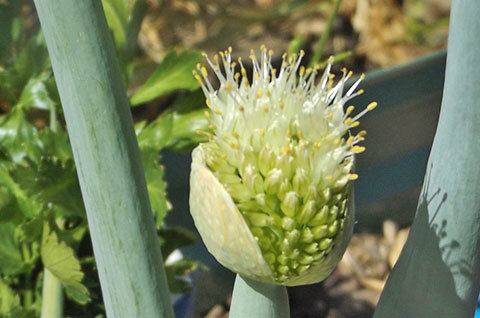 Other flowers, like this shallot, are the first of my vegie crops to begin their next cycle of flowering, seeding and new plants appearing where they fall. 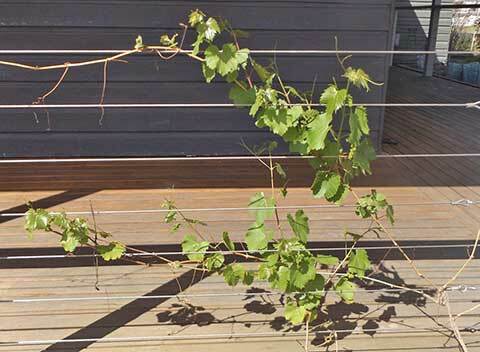 Having carried cuttings with me of favourite plants from the Mountain, like my Glory Vine, I love seeing those tiny sticks reshoot here in their first spring. 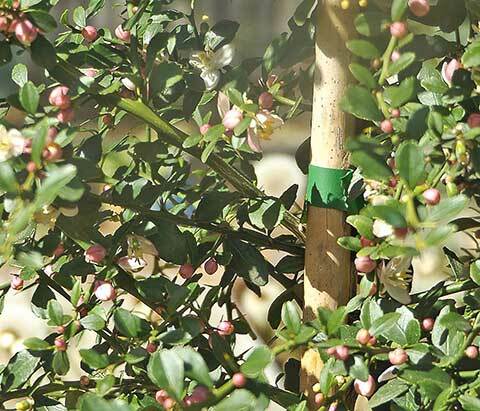 By next year my verandah railings will hopefully be as bedecked in green through to Autumn pinks and reds. 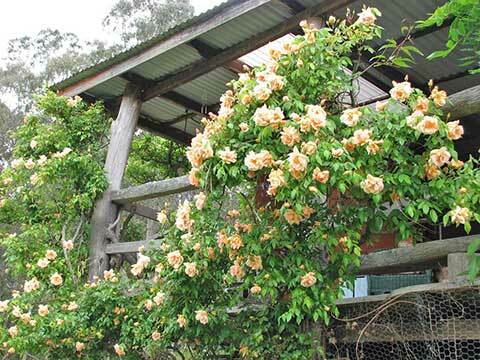 The Glory Vine and the Mandevilla Laxa will mingle with my old Mountain favourite, a Crepuscule Rose. My town Crepuscule Rose is not from a cutting, but newly bought here — because I miss it! — and looking happy. It is flanked by baby Mandevilla seedlings. When Crepuscule gets going, as here at my Mountain cabin, it’s a wonder of recurrent ragged apricot blooms. I can’t wait. Other newbies here having their first flowering is this ‘blue’ Solanum, in planters, growing up a trellis erected to urgently mask a most unaesthetic garage at the end of my verandah. It grew and climbed very swiftly, but it really wants to keep heading skywards, so it was perhaps not the best choice. 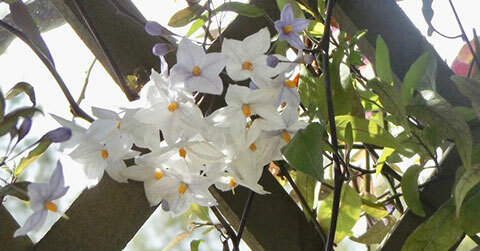 Nevertheless, its delicate flowers, albeit unscented, are a welcome sight. 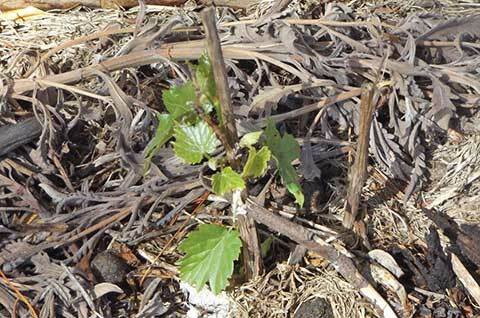 In fact, anything shooting after dormancy is welcome! Nature is so clever — and generous. Previous post: Plotting the Nannalution!